Infrastructure is often seen as a pivot-point for addressing social ailments, directly or indirectly. That is what you’ll read — that assumption fully addressed — in Mariana Cavalcanti‘s “Waiting in the Ruins” a book chapter in Infrastructural Lives. What social ailments? 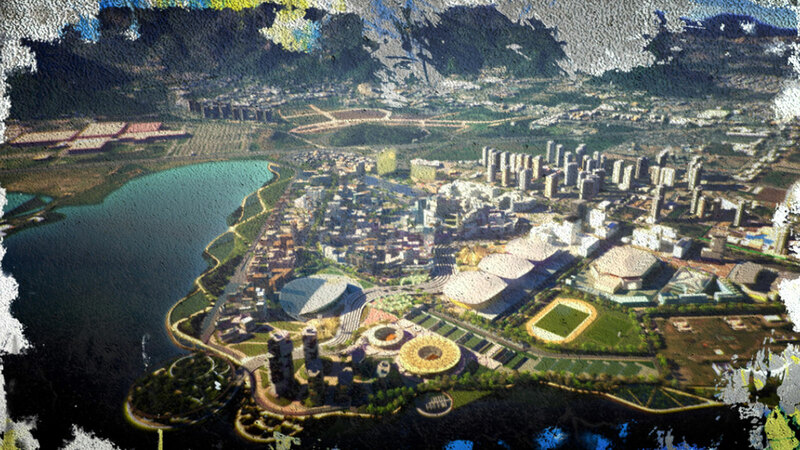 Anything in the way of establishing Rio de Janeiro as a world Olympic city. Questioned is the rhetoric championed by proponents of the favelas pacification programs as a form of “state intervention” — finally! As it happens, the favelas have long since been a living laboratory for the state to experiment on the poor and to determine how development works in lieu of state intervention (also, of course, a kind of selective state intervention). In the move to become an Olympic city, the favelas have to do double-duty: they cannot be erased, thus, becoming part of the expected scenery for tourists — for favela as exotic city-spectacle, see pages 93-5 — but the favelas must also be controlled and their perpetual state of social disorder (which is not entirely true) is cast as a period of “state absenteeism” where the state did not intervene, but now that the state is intervening — through development projects, revitalization projects, and enhanced efforts at control — social order is finally to be established in these lawless lands inhabited by informal settlements … or so the justification goes from the local government. Of course, that the drug cartels established more than a modicum of order in the favelas implies that claims to local authority are being tested, but only at a cosmetic level. Good-willed housing projects — for example, standardized apartment buildings, which are now starting to crumble — leave the old homes derelict by the riverside, which have become makeshift drug dens for those addicted to crack cocaine and whose old run-down streets are now dominated by those on both sides of the drug game. In the end, locals are left with the feeling of standing still but on the presupus of massive change; however, that feeling — marking everyday for the past year or more years — now seems to have become the norm, with no great advancement in sight. This entry was posted in City, Decay, Decoloniality, Disaster, Government, Infrastructures in the making, International, STS, Uncategorized and tagged favelas, Mariana Cavalcanti, Olympics, pacificiation, Rio de Janeiro by Nicholas. Bookmark the permalink.